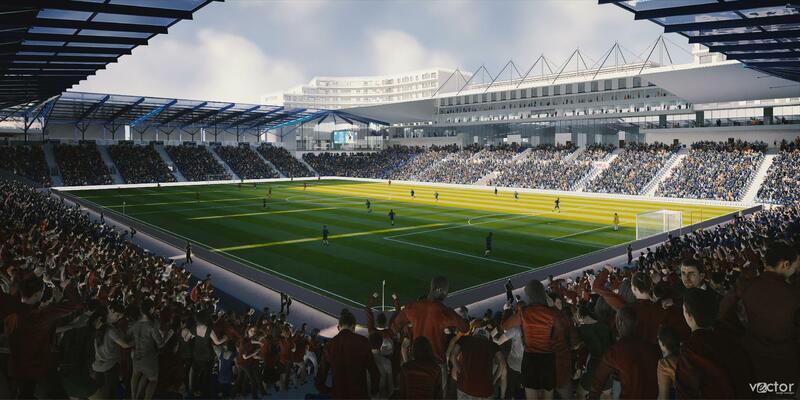 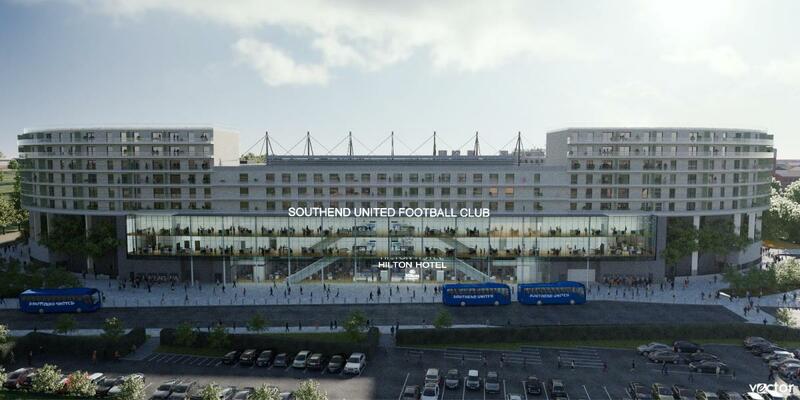 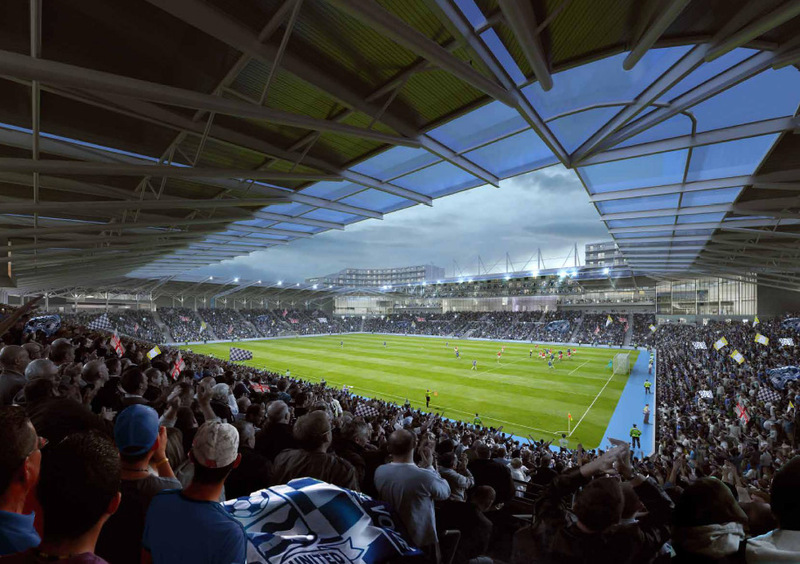 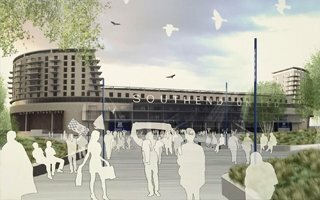 The idea of building a new stadium for Southend United north of the city centre was first drawn in 2006. 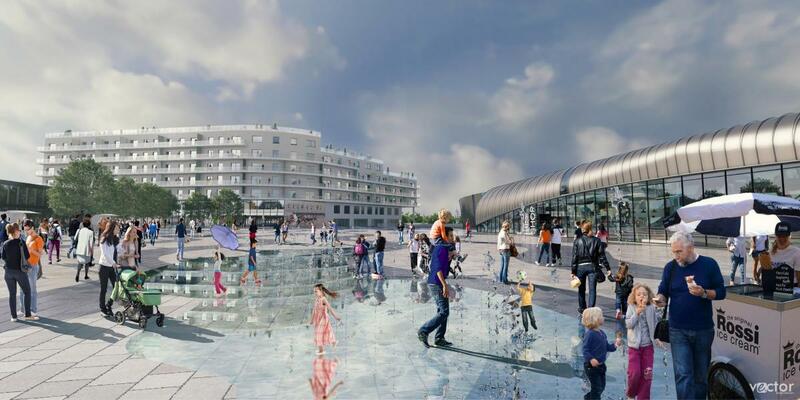 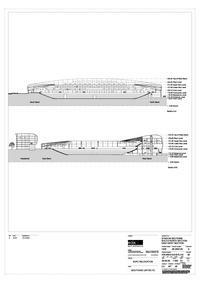 By 2008 the concept was detailed and had its planning permission in place, but never came to fruition. 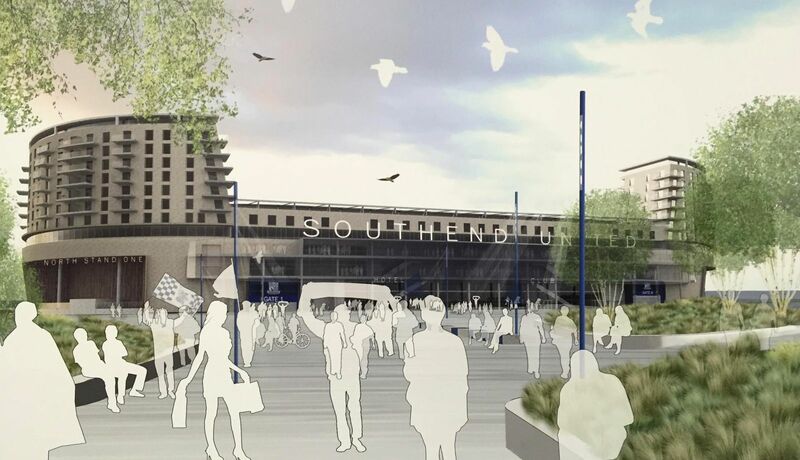 The initial idea was for commercial partner Sainsbury’s to take over Roots Hall and demolish it, making way for a new supermarket. 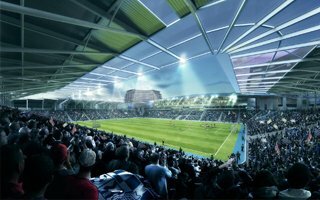 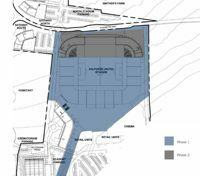 With the funds and additional partners the new stadium would be built, first with three stands and eventually enclosed with the west side. 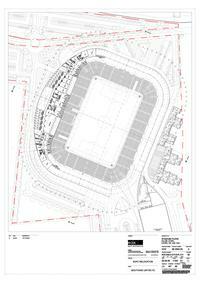 According to an updated version from 2015, a new partnership was reached for the stadium itself. 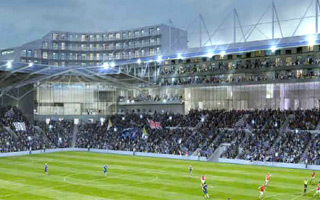 Housing company British Land would co-finance the stadium while also including two blocks of flats within the building (in both western corners). 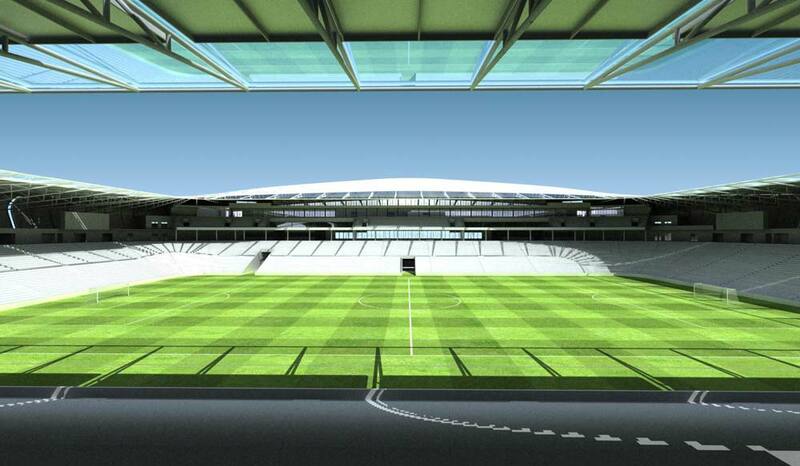 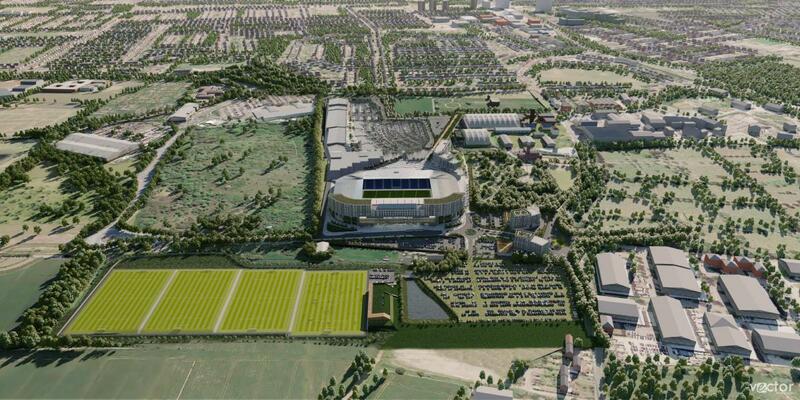 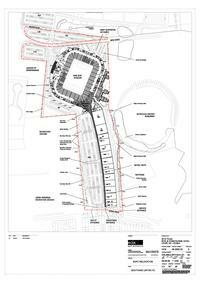 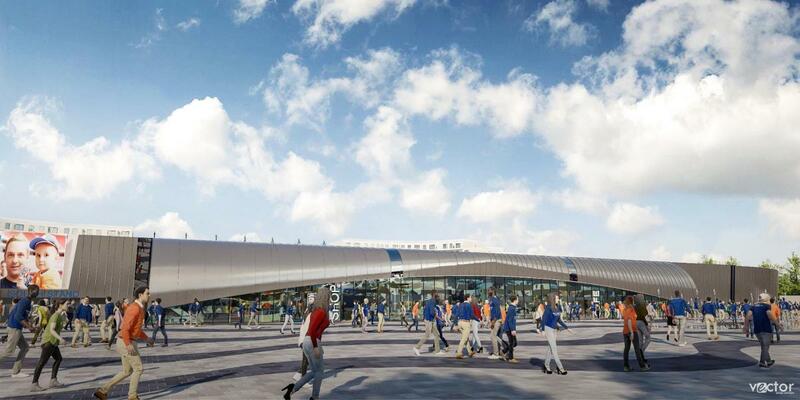 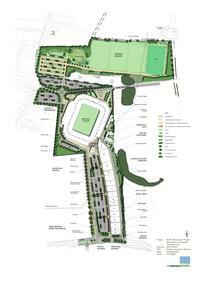 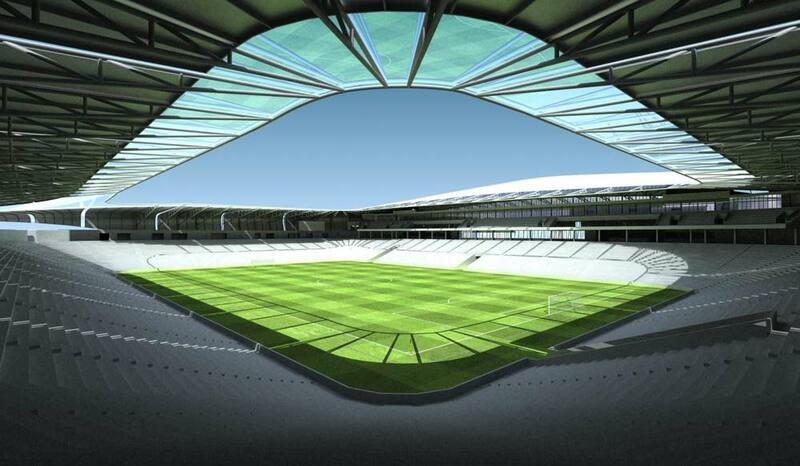 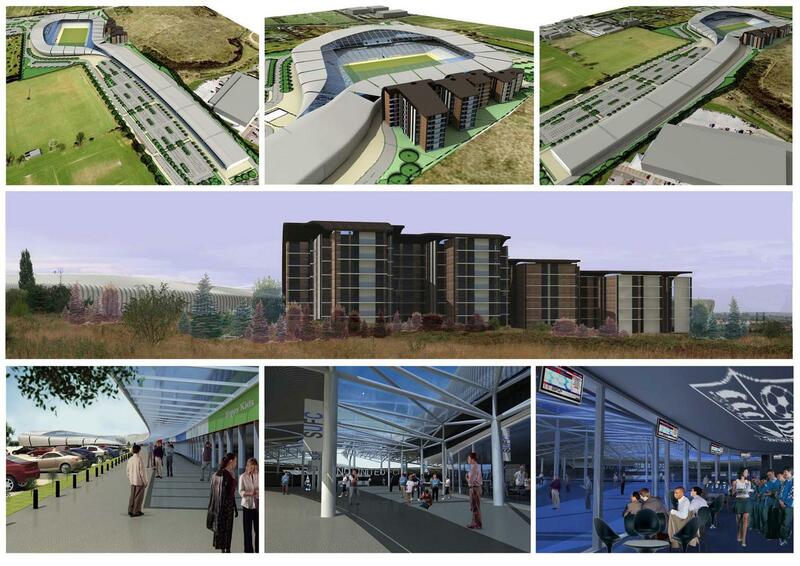 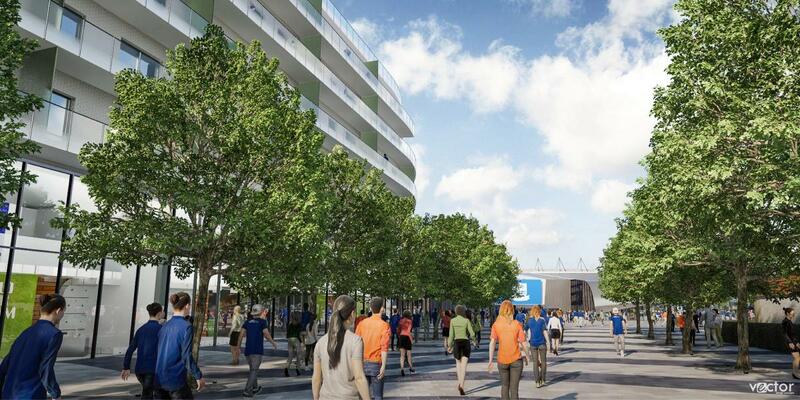 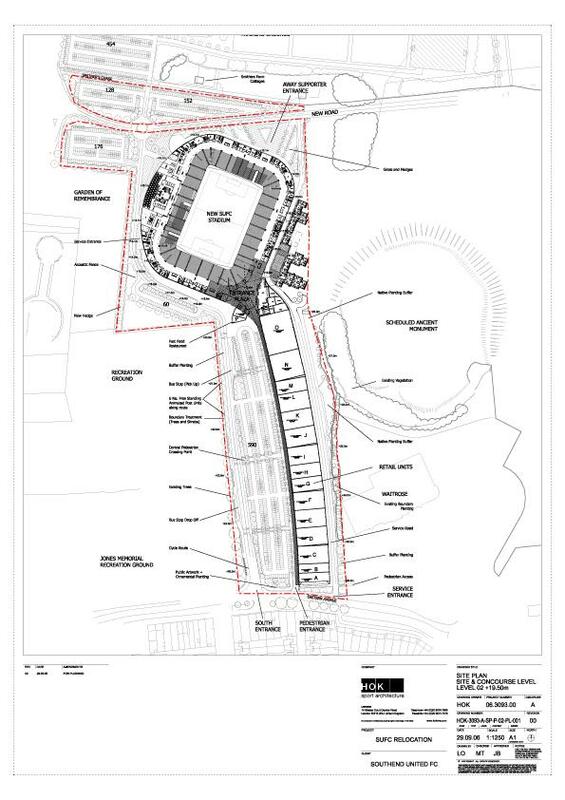 Third one would be built along the east stand, totaling the residential part at huge 240 homes. 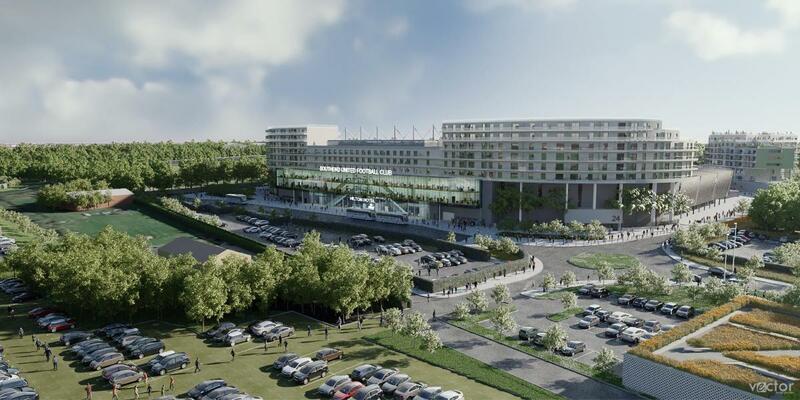 Also, a hotel with over 130 rooms was to be built west of the stadium. 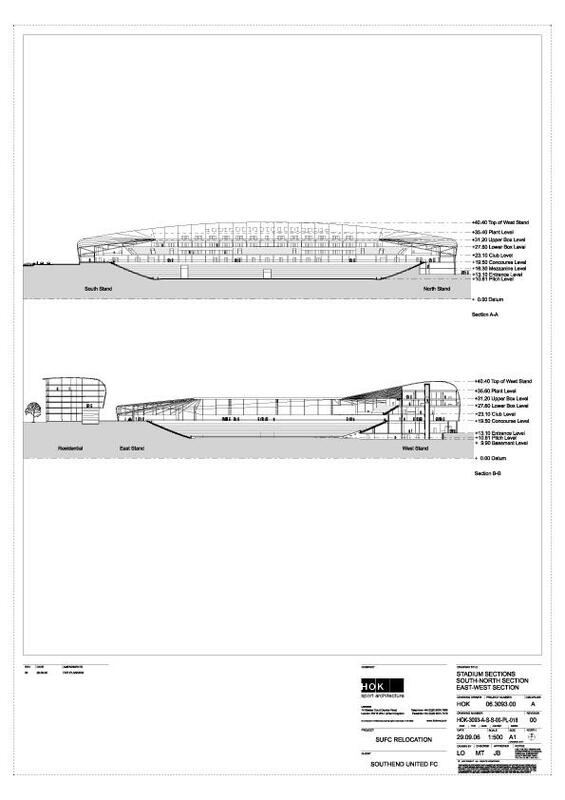 To the south a 12-screen cinema and a retail complex is planned, very much like in the original plan from 2006. In April, 2017 an updated version was lodged with many objectives changed in order to cope with demands and objections from previous attempts. 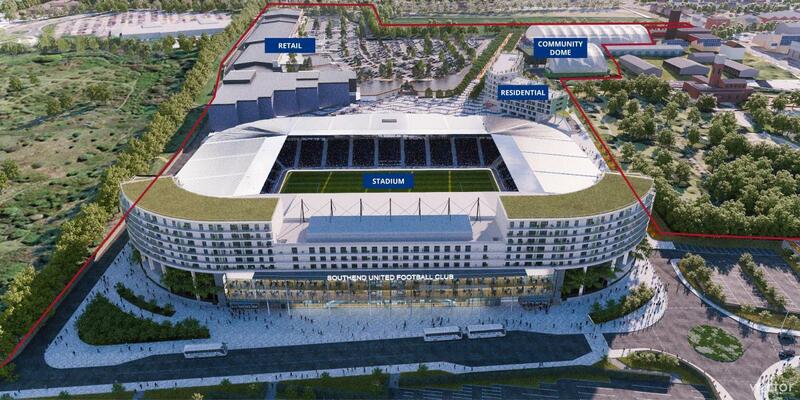 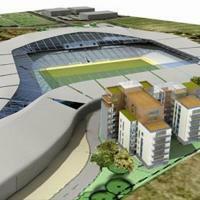 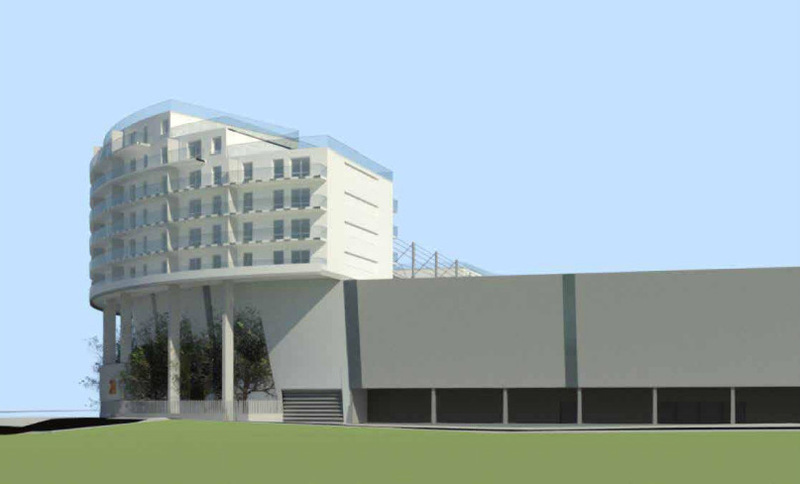 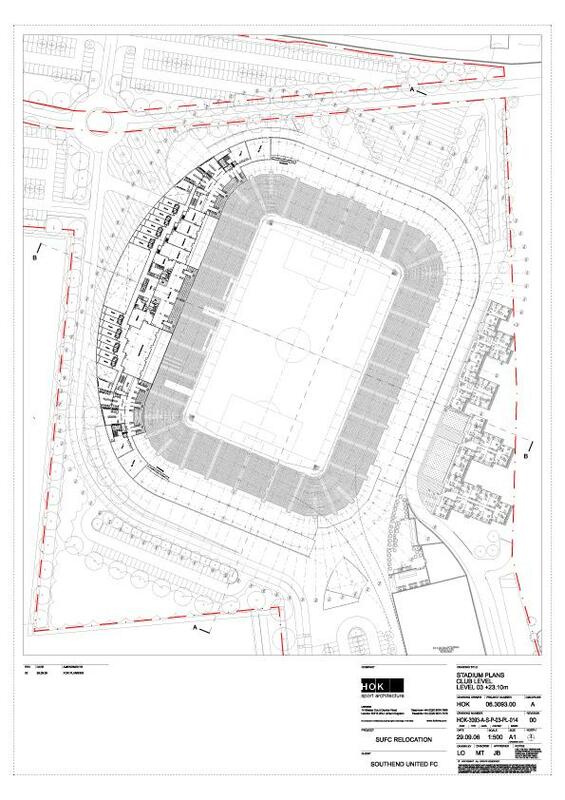 This time two residential blocks and the hotel would all be packed into the the north stand. 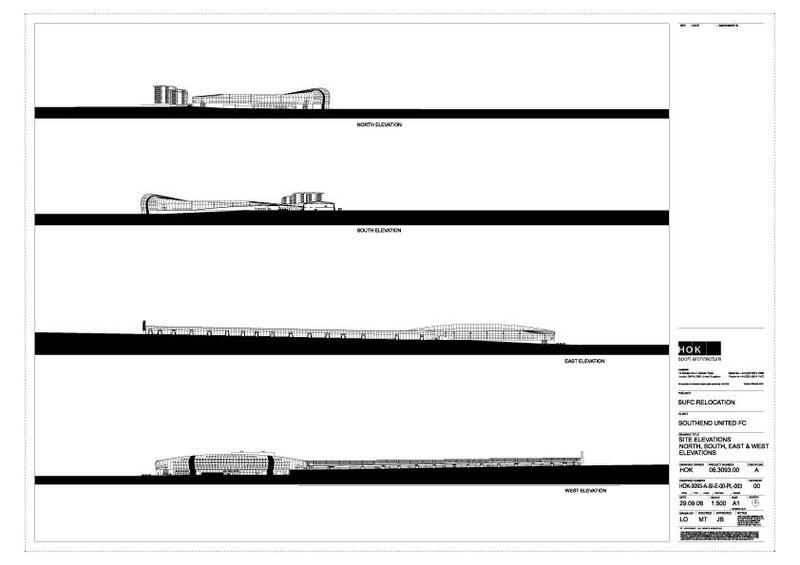 At the same time the stand's height would be reduced from 9 to 6 floors (42.3m) to have smaller impact on landscape. Despite this reduction, the north stand would still accommodate a massive number of 182 apartments and 107 hotel rooms between them. 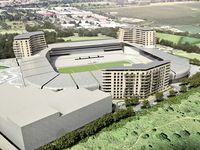 The stadium will be built in two phases. 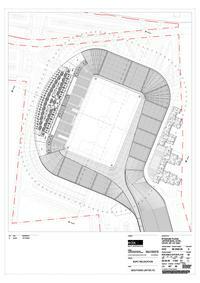 First the simple and cheap part: single-tiered C-shaped stands in the west, south and east, holding 13,893 people. 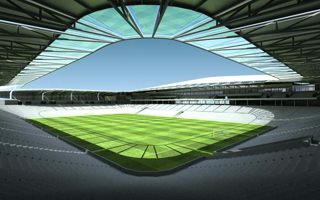 Only then the north side would be built, changing the stadium's layout to make it one of the most original among new venues. 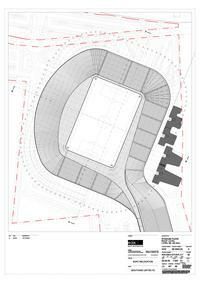 The building should easily meet all crucial domestic and international requirements, including 159 wheelchair spaces. 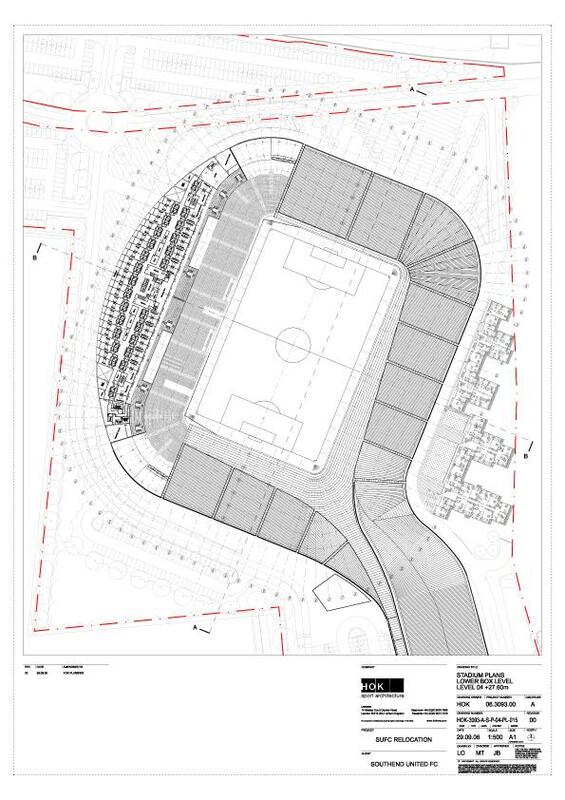 Evenv more, Populous ensured its readiness to convert half of the west end to safe standing (2,753, increase to overall capacity of 21,919). 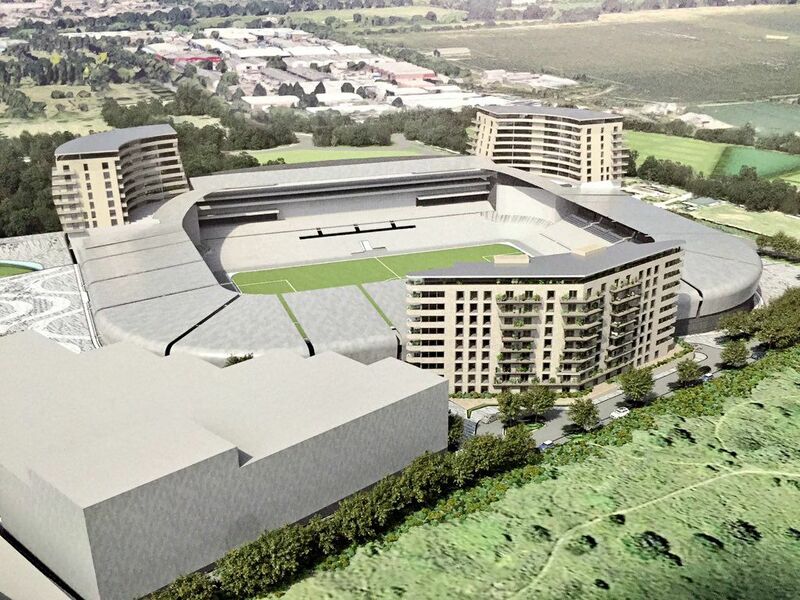 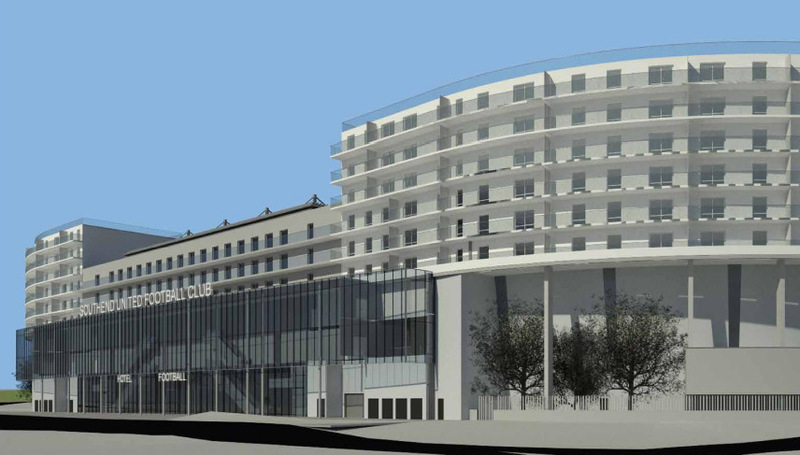 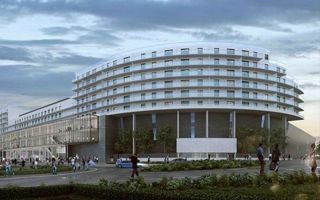 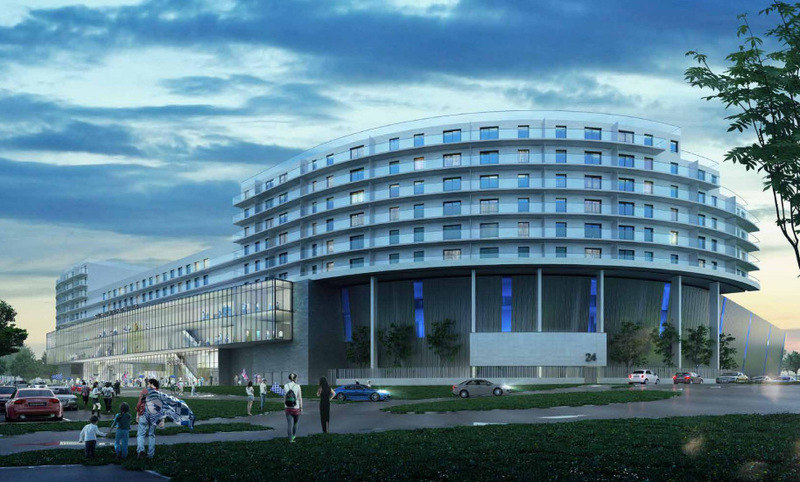 Aside from the stadium itself, the planning application includes 194 more apartments in 4 separate blocks, vast retail complex with a cinema, as well as over 1,700 parking spaces. 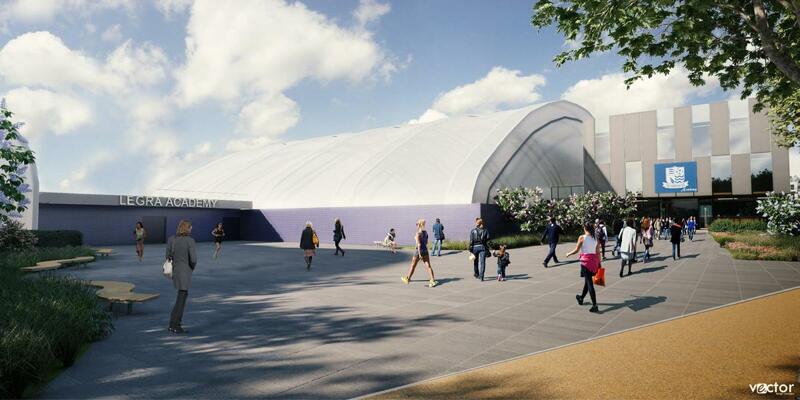 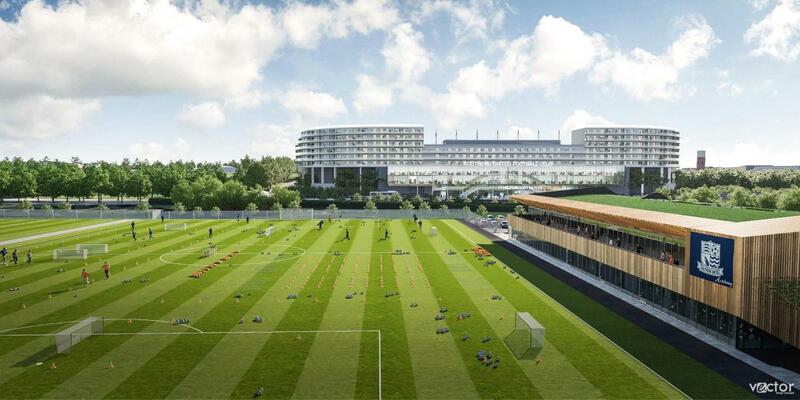 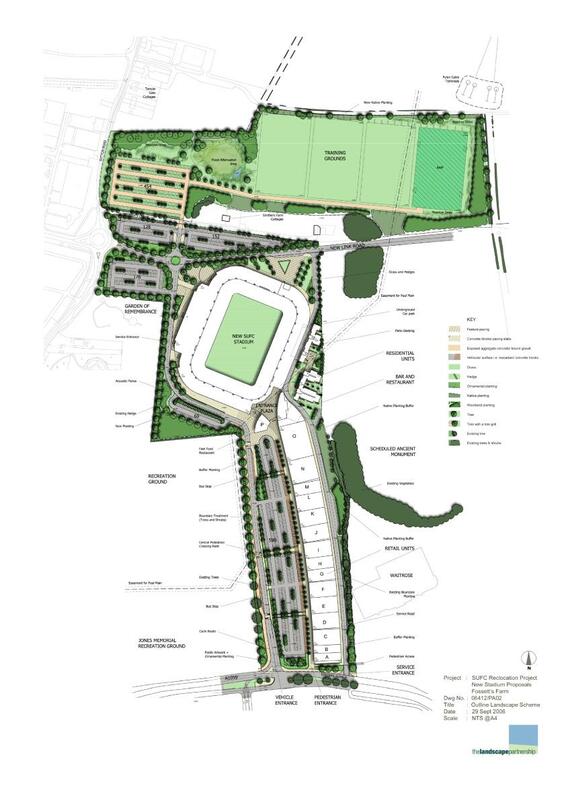 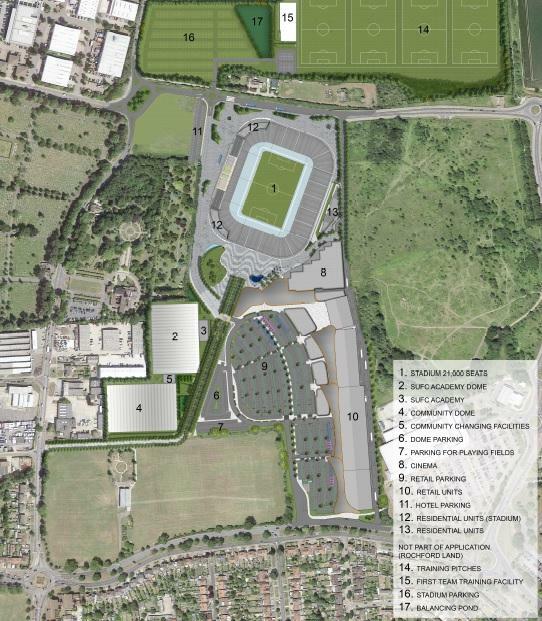 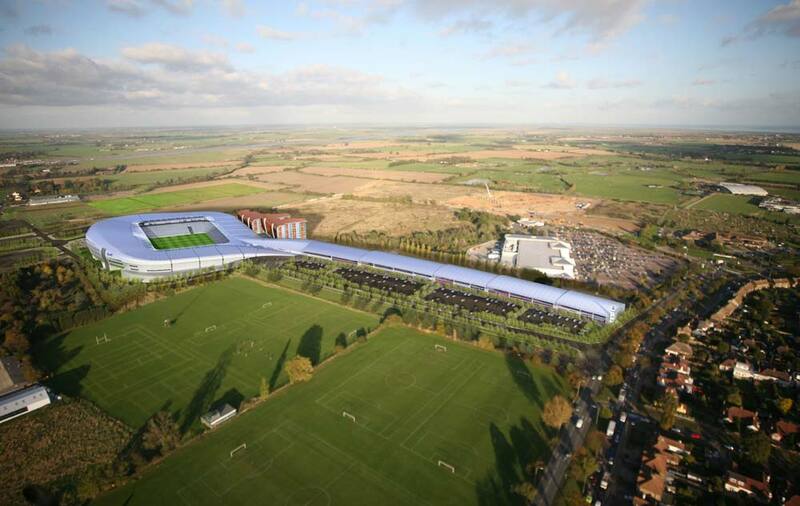 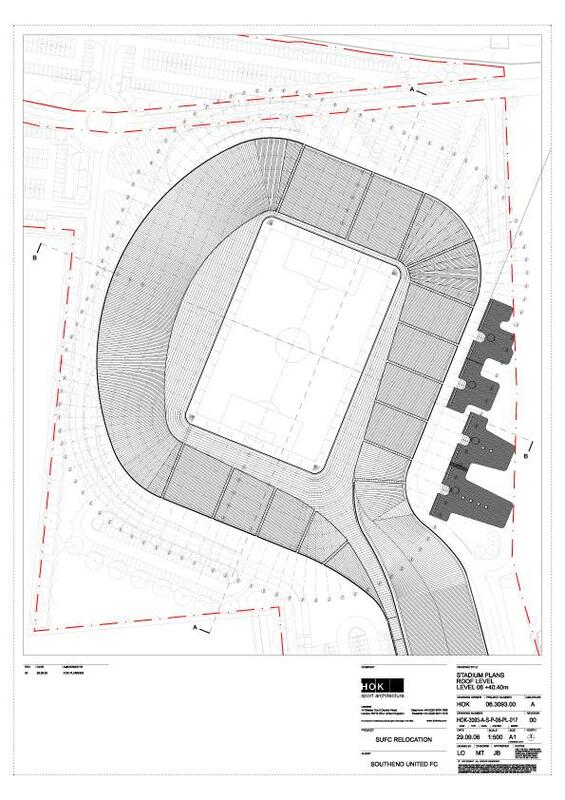 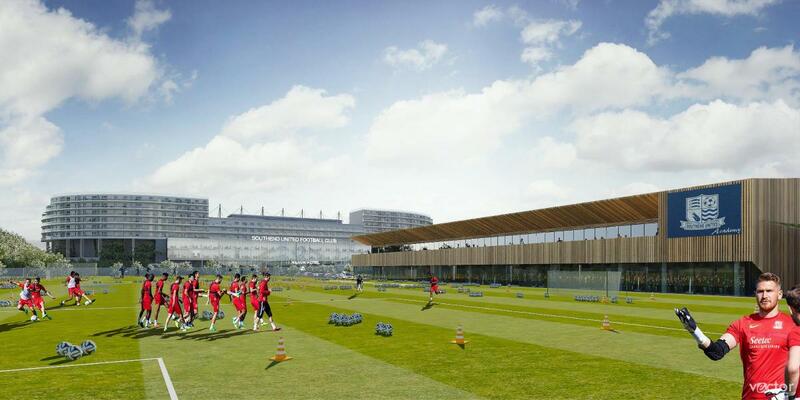 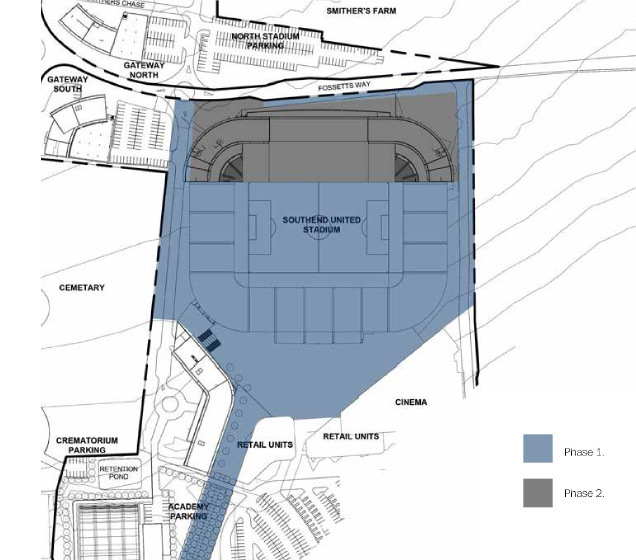 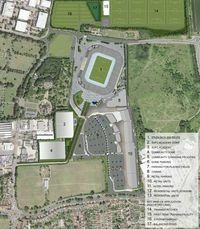 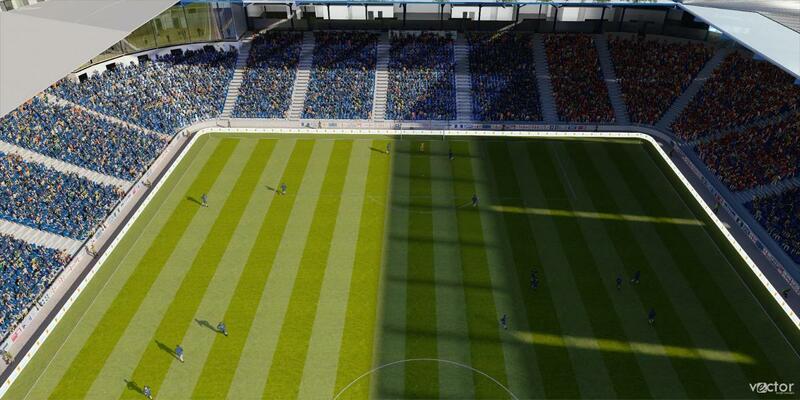 Southend United would also get four training fields and two additional ones under a dome (one full-sized).